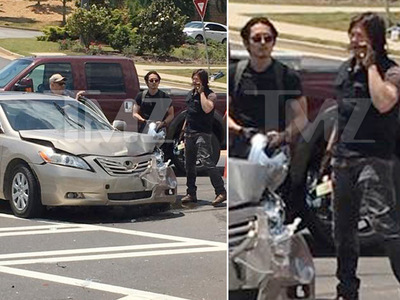 Jeremy Piven is damn lucky the biker who slammed into his car door ... happens to be more starstruck than pissed off about the accident. 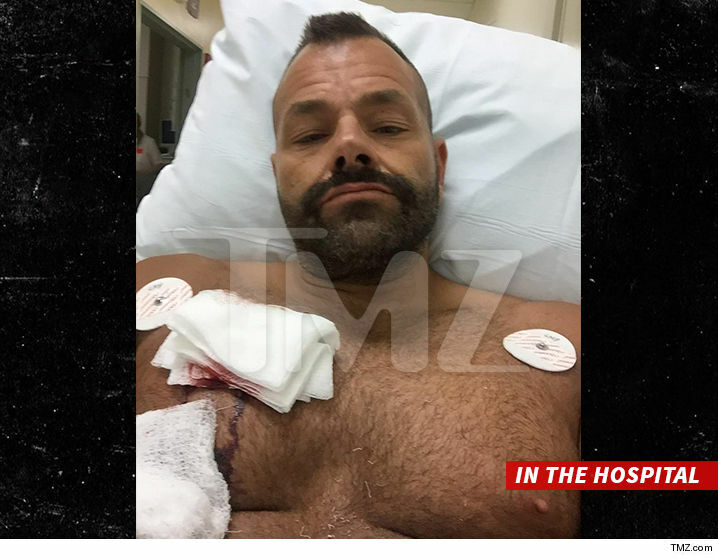 Erick Netterblad tells TMZ it was surreal seeing Piven's face moments after his chest was gashed open. He says he immediately recognized him from "Entourage" as he crashed to the ground. Netterblad has no plans to sue though, since he says Piven was totally helpful. He says the actor called police and an ambulance, rescued his bike from the road and got him water. When Netterblad wanted to lay down, Piven advised him not to, and instead made him sit in the shade -- and he didn't leave until the ambulance left. Netterblad got several stitches, but was out of the hospital about 5 hours later.